Learn how to Insert Tables in WordPress Post or Page. There are some situations when you want to insert data and details in tabular form in WordPress post or page. In this article, I will take you through how you can insert tables in WordPress easily. Though WordPress does not come with inbuilt table insertion feature. You can copy/paste already made tables from word editors like MS Office etc. But the tables pasted from other word editors are not very visually appealing and sometimes even not displayed properly on different screen sizes. Because there is no CSS styling available for table, tbody, tr and td elements. 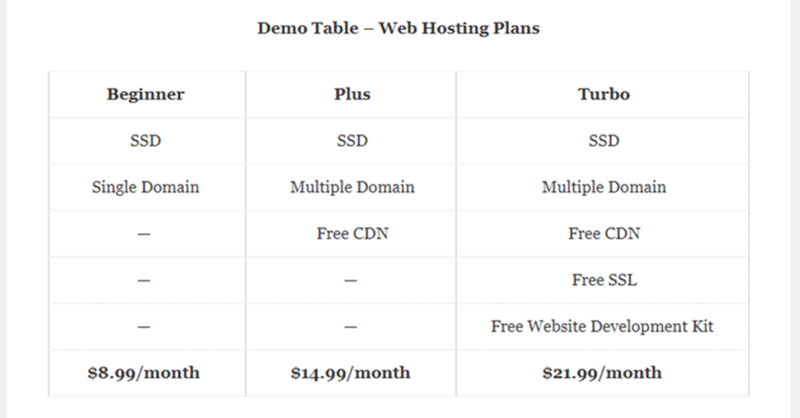 Few premium WordPress themes come with customizable CSS style for these default table elements. The easy solution to this issue is to use a relevant WordPress plugin. Yes, you can use WordPress plugins to insert tables in WordPress posts and pages. There are several plugins available on WordPress plugin repository to insert tables in WordPress. But I am sharing the plugin which is most popular and lightweight. And the best part is you can create and edit table from the WordPress editor itself. 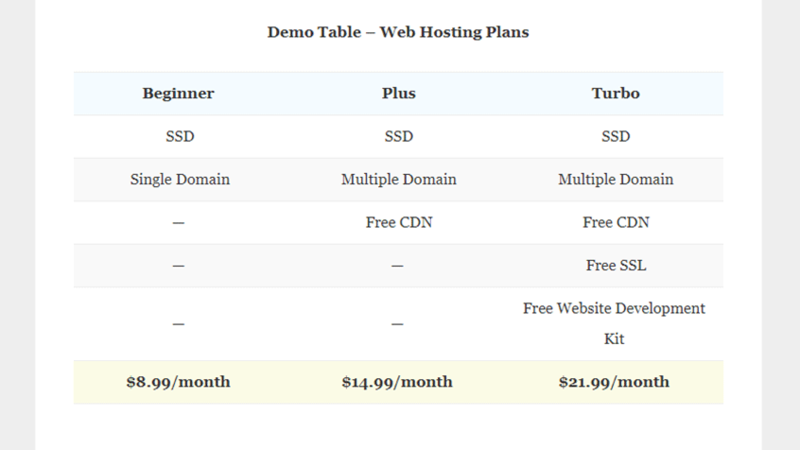 Perhaps, TinyMCE Advanced is the most popular plugin to insert responsive tables in WordPress. 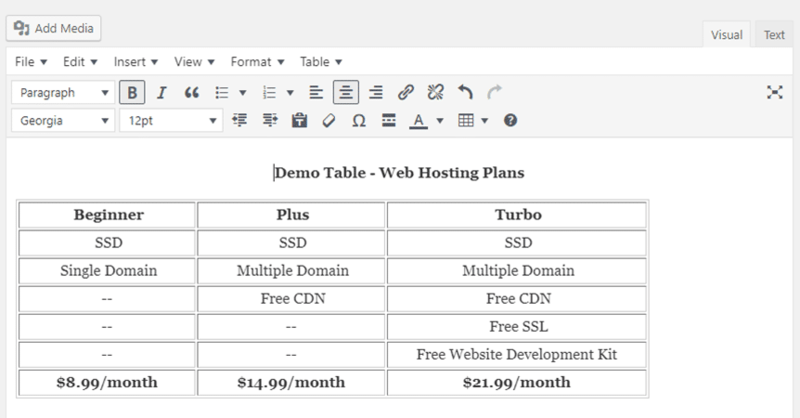 With this plugin, inserting tables in WordPress post or page as easy as you insert tables in Word documents. You can draw the tables right in front of your eyes using their Table Insertion Tool. Easy to create and edit tables in the editor. Search and replace data in tables. Subscript (SX) and Superscript(SX) support. Install and activate TinyMCE Advanced I have written a Beginner’s Guide to install WordPress plugins, you can check that out. To add a new table, you need to click on the table insertion tool. And from there you can select the number of rows and columns of your table. I hope this article helps you to insert tables in WordPress. 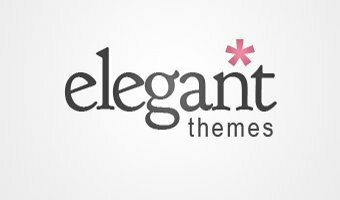 Which other plugins or method do you use to insert tables in WordPress, share with our reader via comment section below. Can this plugin provide fill color in table cells? I searched a lot but failed. 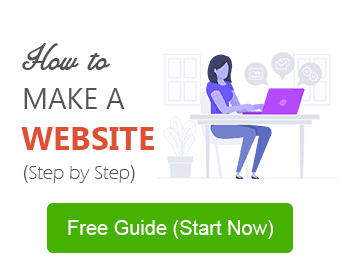 I am a beginner for WordPress and don’t know the coding. Kindly help me, if there any additional CSS is available for the purpose. I need table inside my posts having colored cells. Yes, you can add additional CSS required from ‘Text Editor’. You can easily Google it to find some ready to use CSS.